Next weekend is National Weekend of Action Against the AETA. 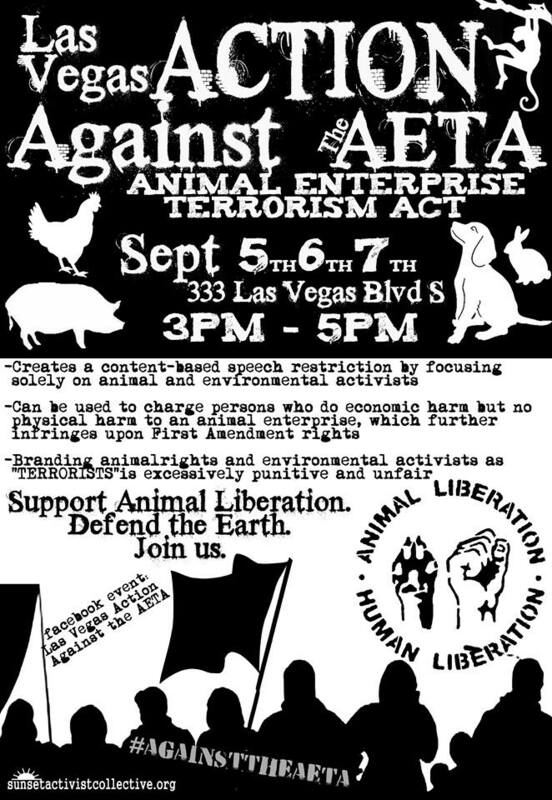 AETA stands for Animal Enterprise Terrorism Act, a federal law that prohibits any person from engaging in certain conduct “for the purpose of damaging or interfering with the operations of an animal enterprise”. This is a law that does not differentiate between constitutional protests and actual criminal acts. It forces you to be silent about animal abuse in fear of being charged with “terrorism”. The people who support this act are the fur industry, the cattle industry, and every other industry that would want to see animal rights activists taken out of the picture. This is a law that could have an effect on us all if we do not know how to play this game correctly. 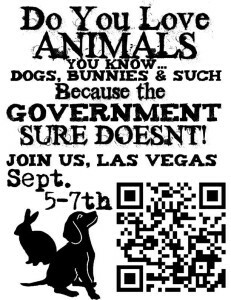 MojaveDolphins encourages you to get involved in your local events this weekend and learn more about what is happening, and could happen to you! 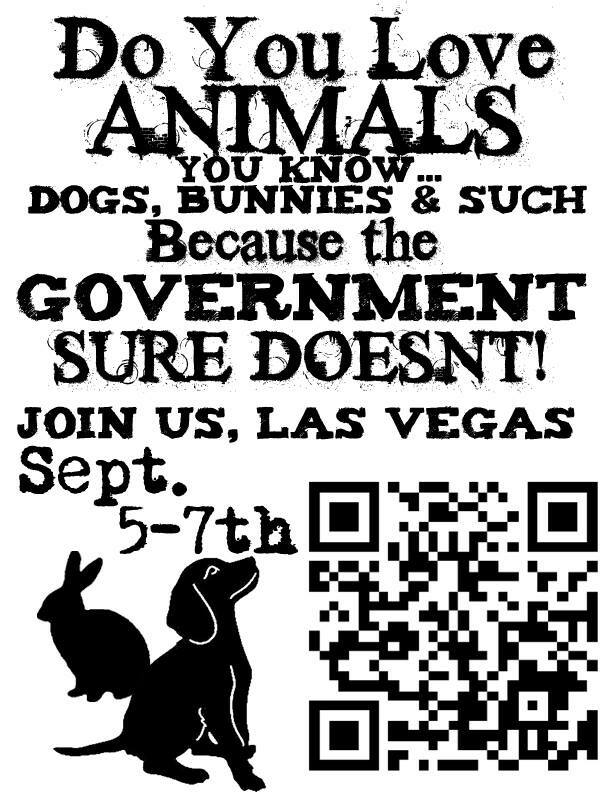 Join the Las Vegas Action Against the AETA event page for more information! November 25th 2017 3rd Annual THANKS BUT NO TANKS! 12PM - 2PM, Mirage Volcano.